QCOSTARICA – An earthquake shook the Pacific coast and Central Valley at 1:33 am Tuesday, with the epicentre located in Puntarenas. 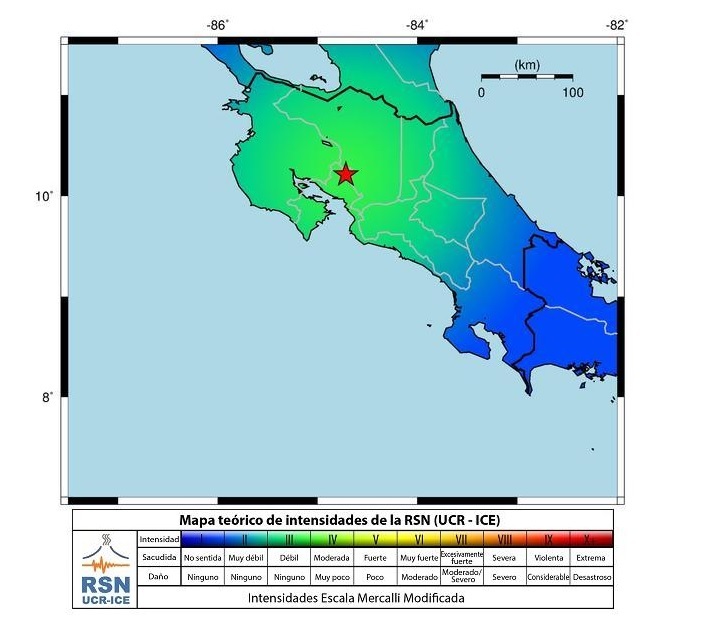 The National Seismological Network (Red Sismológica Nacional – RSN) reported on it’s Twitter account, the tremor was a 5.2 magnitude, while the Volcanological and Seismological Observatory of Costa Rica ( Observatorio Vulcanológico y Sismológico de Costa Rica – OVSICORI) reported it as a 4.5. Despite the difference in reported, both located the tremor, caused by a subduction of the Cocos Plate, at a depth of 75.6 kilometres near Acarincia and Union de Puntarenas, near Miramar, in the province of Puntarenas. The tremor was left in most of the Central Valley, Naranjo, Palmares, Miramar, Sarchi, Acosta, Grecia, Jaco, and Aserrí. DONT Give A Dog As A Gift This Holiday Season!